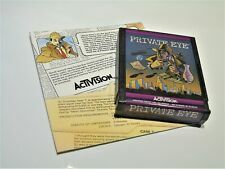 Private Eye (Atari 2600, 1983) Tested and working. 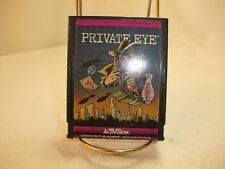 2 product ratings - Private Eye (Atari 2600, 1983) Tested and working. Atari 2600 MYSTERY CART ACTIVISION Pitall? Ghostbusters? Kaboom?? Boxing??? This page was last updated: 26-Apr 09:29. Number of bids and bid amounts may be slightly out of date. See each listing for international shipping options and costs.